Grilled is one of the finest ways one can prepare eggplant. Eggplant rolls are a fine expression of the many ways grilled eggplant can work as a perfect ingredient. 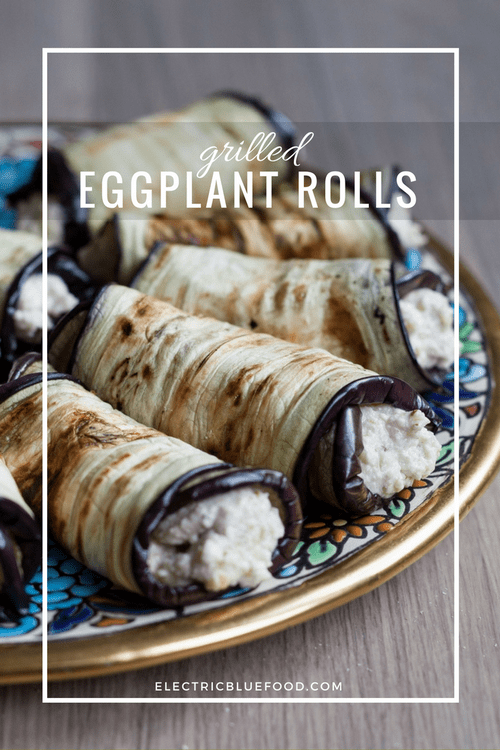 Grilled eggplant slices are very soft and juicy, but their texture is good enough to hold the shape as rolls. 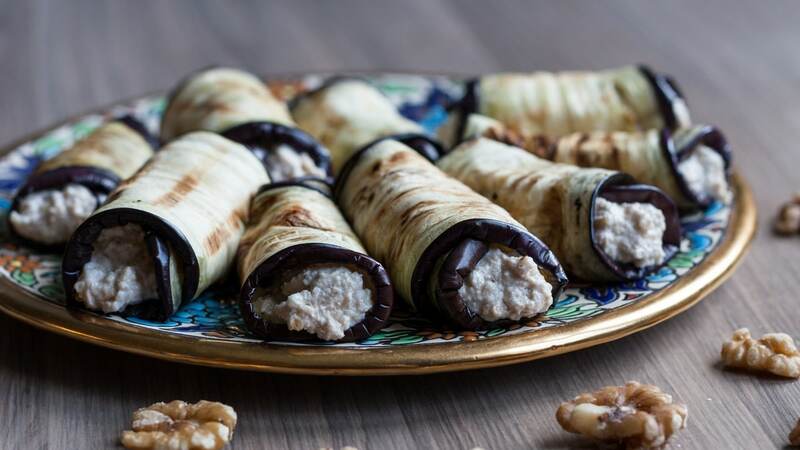 I like to combine my grilled eggplants with walnuts and feta, so the filling of my rolls is made mostly with those two ingredients. I’ve been meaning for a while to make a favourite dish of mine: Georgian eggplant with walnuts. While I was living in Poland, I’d often visit Georgian restaurants and eat those as appetizer. I also had them when I went to Georgia. In fact, during my time in Poland I became a real fan of Georgian cuisine. Among my favourite restaurants in Krakow there is a Georgian one, and they serve this eggplant dish. Unfortunately, I can’t seem to find anywhere one of the key spices of this recipe: fenugreek. Until the time comes that I finally get to buy this herb, I decided to try something similar, but with a Greek twist. There was another restaurant in Krakow that called me a regular, and it was a Greek tavern. It was my favourite place to head to when I was feeling nostalgic for some authentic Mediterranean flavours and wanted to avoid pricey tourist-trap “Italian” restaurants at all costs. This Greek eatery served fried eggplant rolls stuffed with feta, dipped in rich tomato sauce. Inspired by both these wonderful eggplant appetizers from my Polish days, today I came up with my version of it. Cut the eggplant lengthwise and grill each slice on an electric grill or in a very hot non-stick pan. When slices are removed from the grill, lay them on a piece of paper towel and sprinkle them with a pinch of salt on each side. Leave them to rest on the paper towel until the filling is ready. To prepare the filling, combine waluts and garlic in a food processor and mince them. Add the feta in chunks and process all together. This may require some scraping of the container, as the blades of my food processor were getting stuck once the feta was incorporated, as the cheese made the whole mixture become a thick paste. Transfer mixture to a bowl and incorporate 3 tbsp of milk to thin the filling. The feta cheese should be salty enough to flavour the whole filling, but the quantity of salt can be adjusted according to taste. Fill each eggplant slice with about 1-2 tbsp of filling, and roll. An alternative to grilling could be to fry the eggplants, but I preferred to spare myself the extra calories and went for a lighter and healthier version. And 2 cloves of garlic, I confess, may be a little too much: they came out quite strong in taste. The highlight of it all, anyway, is the feta cheese. Oh how I love feta!! More eggplant delicacies? 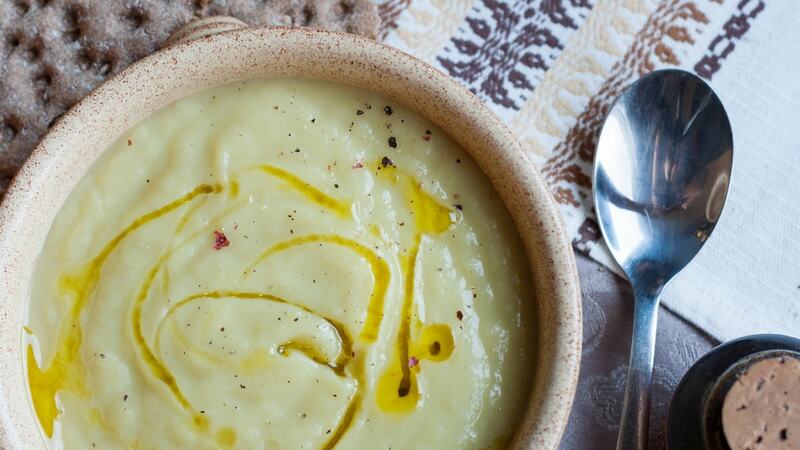 How about a nice bowl of baba ganoush?